Horizane reading glasses in pharmacies: trendy, ultra-light and optimum quality. Horizane reading glasses, so many benefits: optimum quality, attractive prices, trendy and available in pharmacies! Horizane reading glasses are available in pharmacies. You can rely on the advice of a health specialist. You can also make your own choice and go for the glasses that suit you better out of 6 magnification strengths (from 1.00 to 3.50). 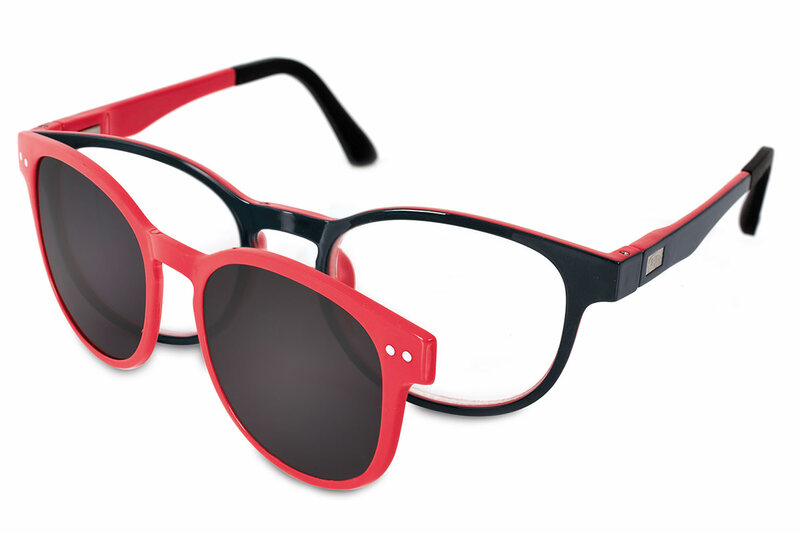 Beyond their efficiency, Horizane reading glasses will give you a trendy look at an attractive price yet CE certified. Do go through our file « Reading glasses: Horizane advice » on presbyopia. Reading glasses: Horizane, precursor on reading glasses available in pharmacies and always closer to presbyopes. If reading glasses are now available in pharmacies, it is thanks to an initiative started by Horizane at the end of the 90’s. Because Horizane felt concerned by the well-being of the consumers, it revolutionized the access to reading glasses for presbyopes by providing useful and qualitative products in pharmacies. 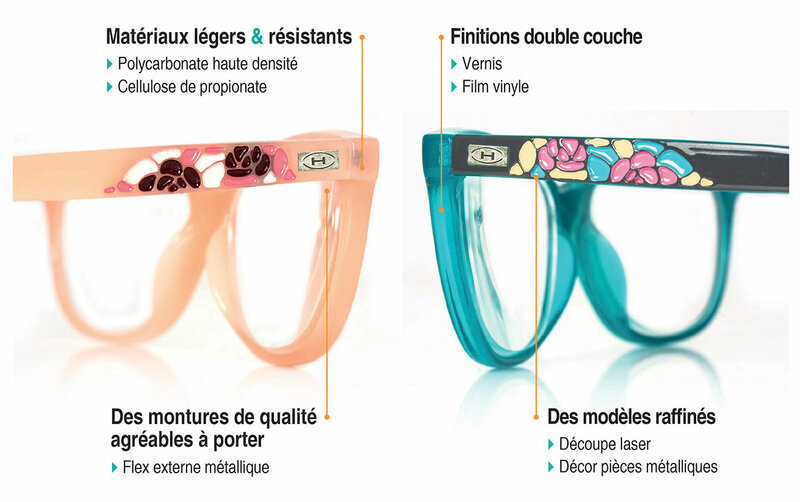 Horizane has now become the leader in France in distributing reading glasses to men and women suffering from presbyopia. Horizane range includes more than 30 different models: a very qualitative collection that will give you entire satisfaction thanks to the quality of its lenses and the lightness of its frame. Comfortable, design and trendy, each pair of Horizane reading glasses goes under a strict quality control thus complying with the stricter norms. Top quality reading glasses for a product with lenses, frames and details of high standard. A pair of reading glasses has to be financially affordable and of top quality: it is Horizane first priority. 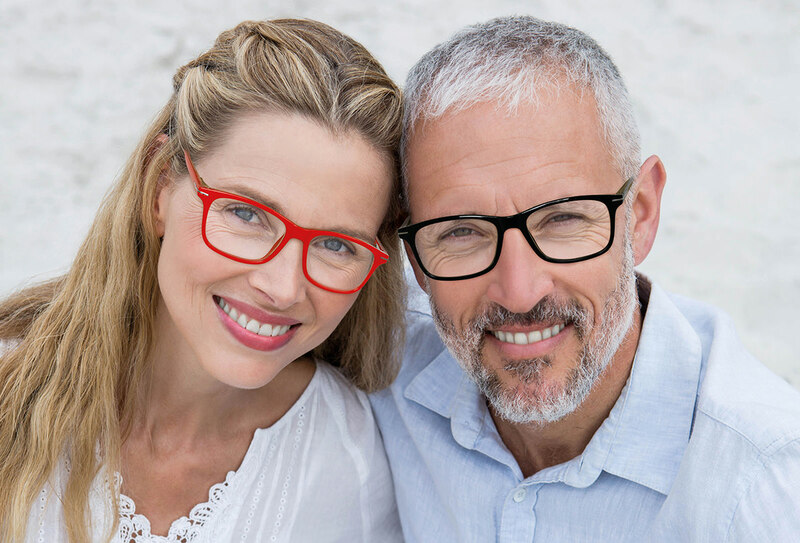 Our company pays a great attention to the selection of the reading glasses available in pharmacies and commits itself to offer spotless quality as far as lenses and frames are concerned. The frames of Horizane reading glasses are carefully selected for the quality of their materials. Horizane goes for materials presenting both strength and comfort and pays special attention to the last details. Horizane objective is to design a pair of “optical quality” reading glasses at an affordable price. High density polycarbonate or cellulose propionate. External metal flex providing optimum comfort. Injection of paint into the mass. Use of vinyl paper for dual tone details or for the patterns. Anodized steel and copper nickel double frame. Electrolytic paint for long-lasting and oxydation-free duration. 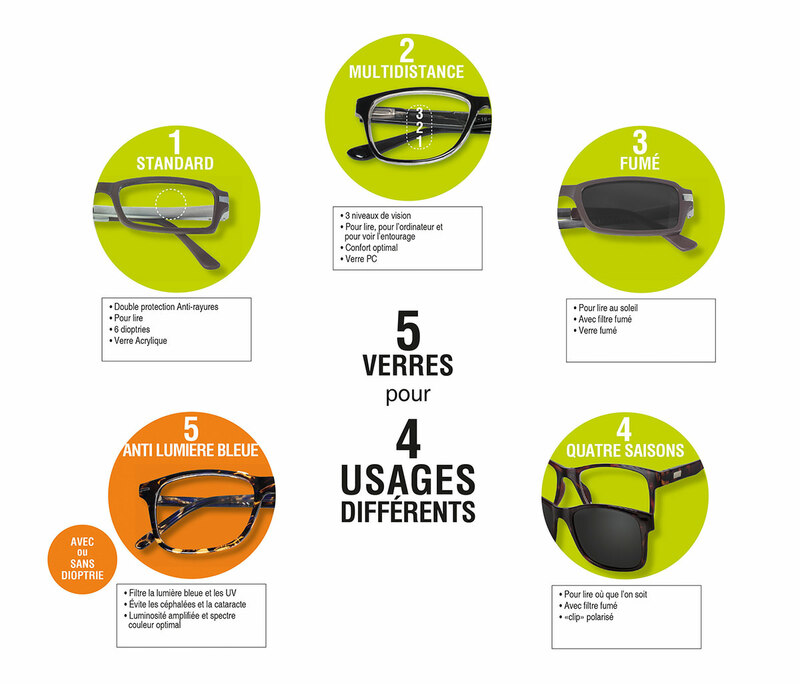 Horizane reading glasses: various « reading lenses » answering all the needs of presbyopes in their everyday-life. Answering the needs of all presbyopes is one of Horizane’s top priority. This is why Horizane reading glasses are made with a great diversity of lenses. Horizane offers you a great variety of lenses which matches one’s special need in a presbyope’s everyday life. Made in acrylic, very resistant, they have a special double anti-scratch treatment. They allow reading in the sun while being protected thanks to a smoked filter. They are standard lenses equipped with a polarized solar clip. It easily sticks to the frame thanks to a magnet. It helps reading in the sun. They widen the close and intermediary vision. Indeed, the bottom of the lenses acts like standard lenses for close reading (book, computer, cellphone, etc.) while the top gives a more precise look for things located up to 3 to 4 meters(work environment, television, people in the same room, etc.). Far beyond presbyopia, Horizane reading glasses unleash your style! Used anytime during the day, Horizane reading glasses are real fashion accessories, adapting themselves to the trend thus unleashing your style! In order to be able to follow the trends, Horizane renews its collection every year for every presbyopes, man or woman, to find the reading glasses that match his/her style and personality better. Different shapes (old style round frames, square or XXL frames, etc. ), colorful frames, mix of materials, inlay of metal parts, laser finish: there will always be a pair of Horizane reading glasses that will match your style! Certified reading glasses: the result of Horizane request of quality. Horizane reading glasses are available in pharmacies. A pharmacist can only sell products listed in the article L-5211 of the Public Health Code. “Individual use medical devices” are included in this list. When making up for presbyopia, a pair of reading glasses is considered as a Class 1 medical device. Medical certified device, Horizane reading glasses deserve their CE certification as they respect a strict specification. The fixing of the lenses in the frame and their setting up.